No predefined phone-plan combo & free shipping! Didn’t find the phone you are looking for? Buy a Sprint-ready device from a different seller and bring it along*. Standard delivery takes between 3-5 business days. Priority delivery takes between 2-3 business days. Two-Day Shipping takes 2 business days. The Free Standard Shipping and Priority Shipping are performed by USPS and the Two-day shipping is performed by UPS. You can upgrade your phone at any time. 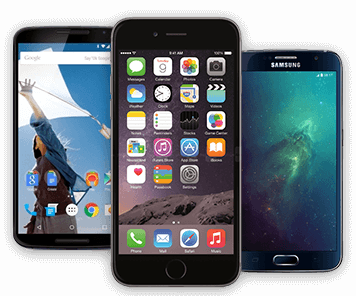 You can buy a phone from our phone collection, you can buy one from anywhere else and bring it to Tello or you can simply enroll a device you already own. The new phone will be automatically enrolled into Tello, while the old one will be replaced in your account. Can I add more than one phone to my account? Not yet. Our service is designed for residential usage only so for now you can not have more than one active phone in your Tello account. However, this does not mean that you can not enjoy our great services with Plans & Pay As You Go. If you want to bring a friend or family member to Tello , you need to open another account.